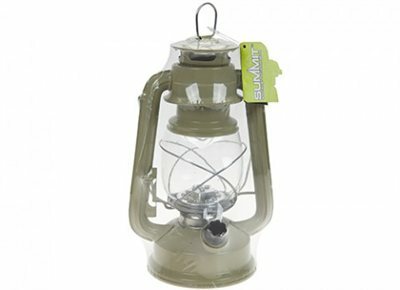 This Summit camping lantern has the appearance of a traditional hurricane oil lamp but boasts the safety of modern LEDs. With its authentic antique finish, it's a stylish way to illuminate a camping table and perfect for summer evenings in your back garden. This lantern contains 15 long life LEDs and features a metal handle for hanging or hand held use. Ideal for camping, hiking and fishing trips.